Having seen Franks “Gun Dog Training” sessions at the Tendring Hundred Show for the last couple of years, when I got my first dog, a working cocker spaniel, Teddy, I knew I had to call Frank. Taking Teddy for his first training session at 3.5 months I didn’t know what to expect, but I certainly didn’t expect to be the one wearing the lead for most of the lesson. This technique now minus the lead of teaching me first before Teddy has continued throughout the last ten months. At every lesson Frank demonstrates not only with his own dogs but Teddy as well, compounding the fact it’s the handlers that need the training first and for the dogs then to master. If you want the best out of your dog, then you will need to practice at home the things you’ve learned with Frank, but seeing how happy Teddy is when doing this makes it worthwhile. Others have commented how brilliant and lovely Teddy is I’m just glad to have the guidance and expertise from Frank. 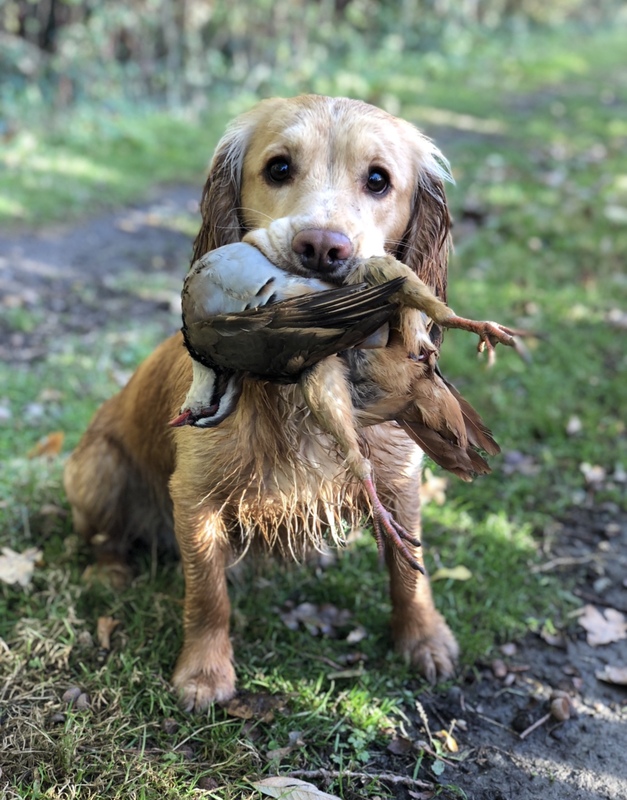 Finally a couple of weeks ago I was able to put the last ten months into practise taking Teddy beating, and as you can see from the picture, he was more than happy to bring me his first partridge. I would highly recommend Frank to anyone, just be prepared for the lead and repetition of steps, but remember it works.